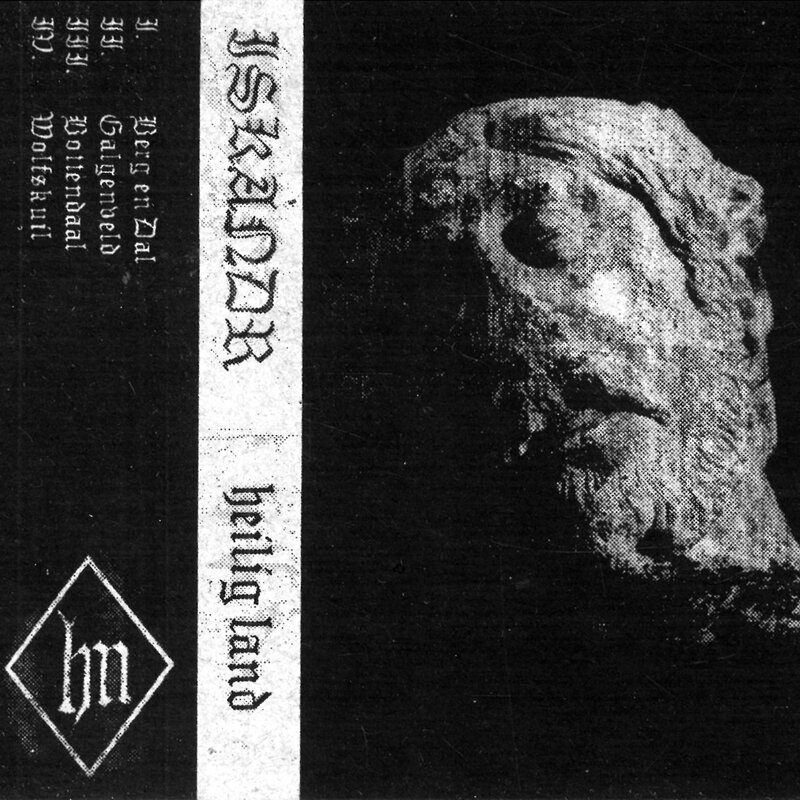 Heilig Land comes as a debut release without any sort of demo warm up or practice runs with EPs. From the short bit on Bandcamp, Heilig Land appears to be a side project based on reflections and ruminating impressions which is different than the work in both Lubbert Das, Turia, and Galg. what is different for Iskandr, besides, the fact there is one person, is that O gets to shriek and cry and wring his voice into a microphone which at times is effective and others is near sublime. the emotional density on Heilig Land is quite breathtaking for people into a distraught type of black metal. Without surrendering to aggression and convention, Iskandr wails in the distant with a record that is quite fitting for anyone who is in earshot of the cries. Despite its 4 track contents, Heilig Land is 40 minutes of wanton misery which feels like rain lapping in from a broken window. there are so many things wrong right now that you do not know whare to start. I must admit that I got excited when I found the connection between other bands that I have been finding in the Netherlands but aside from that Iskandr is a great addition to what ever you were listening to. If you were familiar with the previous bands, then Heilig Land is a dark landscape of strangled suffering coming form the shadows. You already knew what you were getting into so keep walking forward.